It’s 65 million years in the making, but it only took 22 years and the sequels that follows the fourth one. No need to watch the originals the movies of Jurassic Parks, it’s the same thing but different than you expectant to see. You have to see it. The action jumps at you if you are watching in 3D. The ironic part when I was watching the movie we had a small storm in my area, I could hear the grumbling of the storms and vibration near me, for a minute I thought the dinosaurs were coming. It was the guy who sat next to me his stomach was grumbling and he was hungry. Don’t bring tacos to a movie theater! That was me. Did you know that Costa Rica look so much like Hawaii ? Mostly the movie was shot in Honolulu Zoo in Hawaii, Oahu and the Hawaii Convention Center, then Kauai. Then it moved too Louisiana. Did you know Louisiana had a Six Flags in New Orleans? It’s abandoned and now it is a movie set. It was abandoned ten years ago when Hurricane Katrina hit New Orleans. Now it’s a scientist village. Next scene was at the Louis Armstrong International Airport in the beginning of the movie when the two boys were going to see their Aunt Claire in Costa Rica. The evacuation scene was at the Audubon Zoo in New Orleans. Swamp scenes were filmed Slidell Louisiana. The gyro spheres looks interesting if one want to get close with the animals without being attack! Jimmy Fallon from the Tonight Show acted as a guide in how to use the Gyro Sphere but got attack. The story picks up after the events of Jurassic Park, Isla Nublar, an island located off Central America’s Pacific Coast near Costa Rica, now features a fully functioning dinosaur theme park, Jurassic World, as originally envisioned by John Hammond. This new park is owned by Simon Masrani (Irrfan Khan), CEO of the Masrani Corporation. Owen Grady (Chris Pratt), a member of the park’s on-site staff, is a trainer of a group of Velociraptors, known as Blue, Charlie, Delta and Echo. Velociraptors are not pets so please don’t get them, oh I forgot. They died millions of years ago. At the corporation’s request, the park’s geneticists create a hybrid dinosaur known as Indominus rex (created from the DNA of Giganotosaurus, Rugops, Majungasaurus, and Carnotaurus) to boost visitor attendance. Claire Dearing (Bryce Dallas Howard) is the park’s operations manager. Her nephews, Zach (Nick Robinson) and Gray (Ty Simpkins), are visiting the island when the hybrid escapes and are subsequently caught up in the creature’s deadly rampage. If your child is in a relationship and they need an adventure, go on camping trip and have an adventure. A relationship is not an adventure, maybe. Claire Personal assistant , Zara Young and the beautiful actress Katie McGraft got swallow by a creature. Too soon. 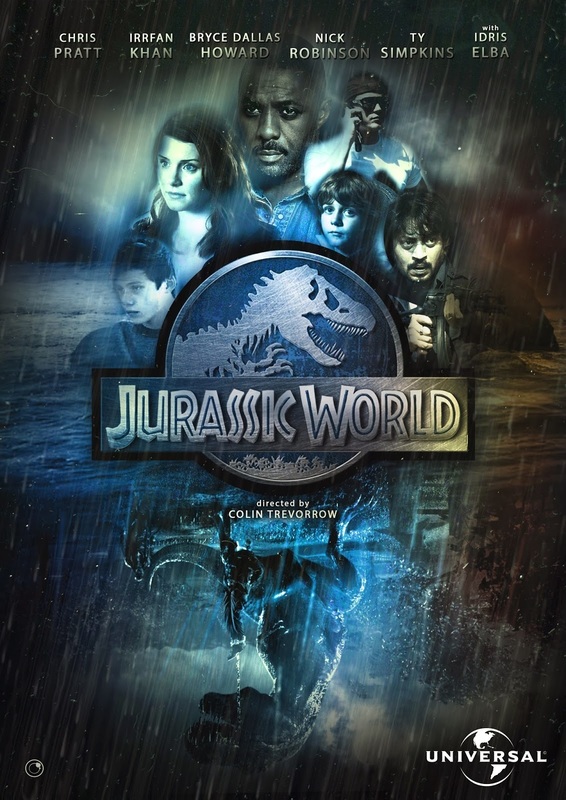 It then becomes the responsibility of Owen and Jurassic World’s security team to contain the hybrid dinosaur before she can cause more damage. Previous Post Jurassic Park Kids: Where Are They Now?